The governor said it wasn’t up to him to stop the new 2,000-person caravan when it crossed Mexico’s southern border nearly three weeks ago because that’s the federal government’s job, but now, as it has reached his state, he’s doing everything he can to deal with it in the most humanitarian way possible, including the deployment of hundreds of Mexican federal, state and local law enforcement officers to ensure security. “In the case of the state government, we will not allow more migrants to travel to Coahuila,” Riquelme told reporters. 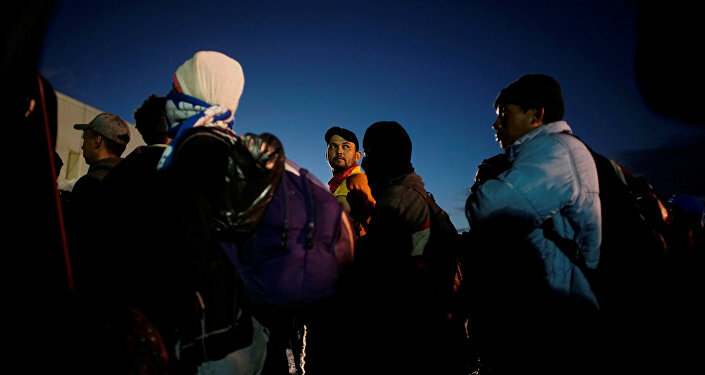 Migrants are housed inside a warehouse while the government processes temporary asylum claims. They have been provided with food, blankets and healthcare but have not been allowed to come and go at will. Mexican officials said the tough policy was needed to ensure their safety. Out of nearly 2,000 migrants, only 139 have so far obtained their official cards allowing them to leave the shelter and travel freely throughout Mexico. 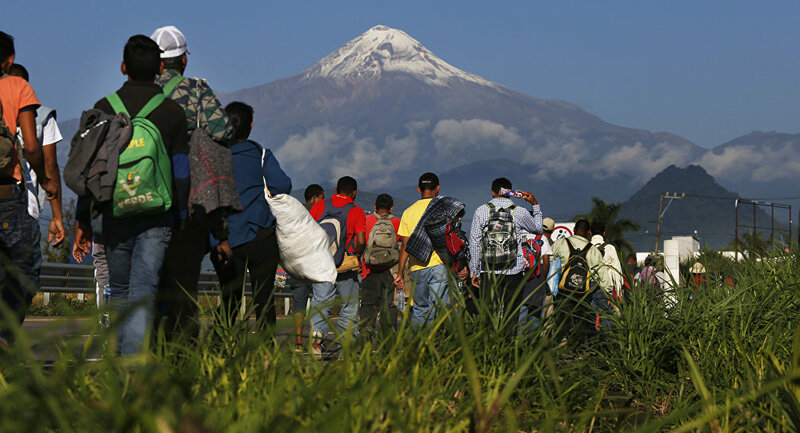 Mexican authorities are processing the applications in order to determine whether the migrants have a criminal past, noting that any criminal would be deported immediately, yet so far no one has been deported. The Security Secretary for Coahuila, Jose Luis Pliego Corona reportedly wants the US to know that Mexican officials are doing everything possible to identify and remove any criminal threat in the group. Mayor Claudio Bres said he can only keep receiving the caravans with migrants for three months, at most, and worried about more caravans behind this one. “It would make it better if the Democrats, Republicans, the US government, the Mexican government and the Honduran government would work together to put on the table something that will resolve this for good,” he said, noting that the caravans could disturb the city’s $22 billion cross-border trade with the US. The US President Trump has been struggling to obtain $5.7 billion in funding for border security and the construction of a wall on the border with Mexico, which is intended to stop illegal immigration. The project has faced strong opposition from Democrats, who blocked a budget bill in a vote in the Senate, leading to the longest government shutdown in US history.